I can’t say I’ve been running much recently, but at least I’ve been running consistently. This is because Raquel roped me into doing the Runner’s World Summer Running Streak 2012, in which I was to run at least a mile from Memorial Day to Independence Day. 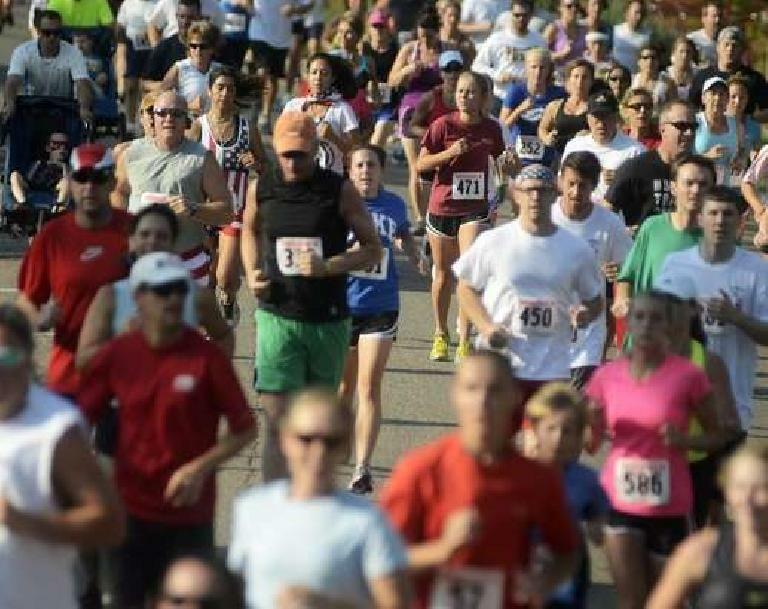 Within that running streak of 37 days were two exciting and high-placing five-kilometer races, the NCYH Power Play and Run for a Child’s Sake 5k. So, I figured an appropriate way to finish the Runner’s World Challenge was to run a third 5k. Having this tradition intact seemed even more important now that all fireworks in Fort Collins were canceled due to the timber-dry conditions and resultant wildfires. So, along with a throng of 1000 other runners, I lined up in City Park for the “five, four, three, two, one” countdown to commence. I situated myself in roughly the fifth row from the front by a sign that said “6:00 runners,” and found myself in the midst of a gaggle of young, tanned, long-haired women who were all sporting sports bras. Indeed, this race attracted many runners who could outrun Speedy Gonzales such as several Olympic Trials finalists—including one who ultimately set a new Firekracker 5k course record. The prizes may have had something to do with that. That the race this year benefited the High Park Fire relief efforts, the City of Fort Collins’ Colorado Association of Recreational Athletics track and field program, and the Rist Canyon Volunteer Fire Department also probably helped. So there were plenty of fast folks to pace off of, and I think the competition helped everyone run faster. At least it was my fastest time of the year and first time since 2009 that I broke 20-minutes on a certifiable 3.11-mile course: 19:57. In fact, the last time I did so was at this race three years ago. My watch and the official race clock were functioning well enough to give me that final push to sprint below that psychological time barrier. Never mind that finish time wasn’t even enough to finish on the first page of the results! But then, even buddy Nick could only muster a 27th place finish with a smoking 17:43 finish time (5:42/mile pace). That wouldn’t cut it for even an age group award. This race, then, is not best event to do if you are looking to reap an award (track stars and Olympic Trials finalists excepted). But it does make a nice Independence Day tradition—particularly if you enjoy watching young ones in sports bras speeding down the road in front of you.